Some stiff breezes in the past few days have kept most anglers' efforts concentrated on the inshore grounds and up the creeks. Up in the creeks, reports are coming in of some nice mangrove jacks and mud crabs getting caught but the prawns have now petered off a little. The inner islands are still throwing some nice trout and if you hunt around on these grounds to find any concentrations of bait there should be some big giant trevally to be caught as well. 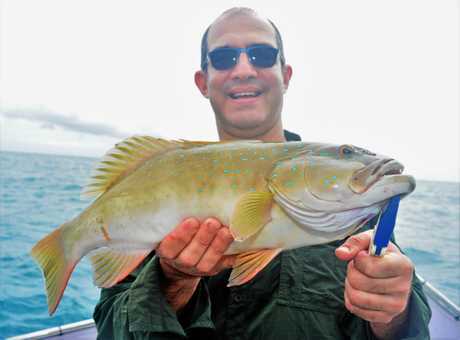 The coral trout have been biting well around the islands with great reports of coral trout being caught. Anglers have also been reporting great size sweetlip around the fringing reefs. With the bigger tides last week, a lot of people were hiding in the bays fishing around the 10m deep. With the smaller tides this week you should find fishing the headlands and deeper water the better places to catch trout and sweetlip. 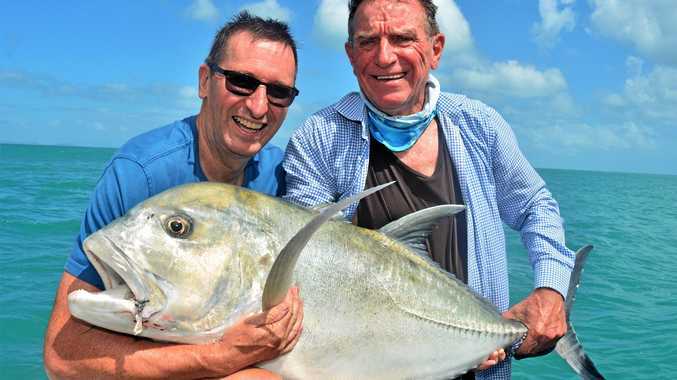 Jewfish are still being reported in the deeper holes and channels around the islands, with some huge fish being caught out wide of Hayman Island. 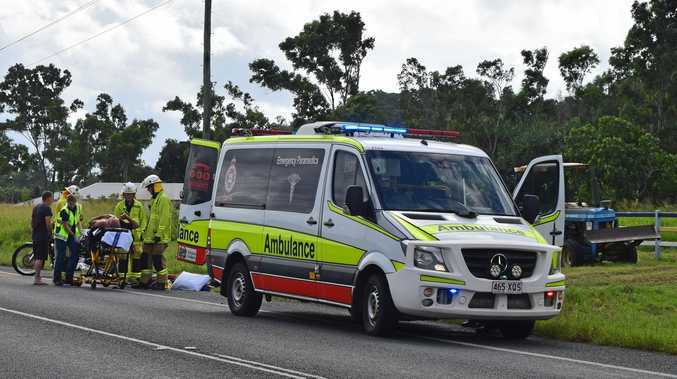 There are also reports of good nannygai on the bite at the moment. Cannonvale Beach has had good reports of whiting and flathead being caught off the beach as the tide is coming in. Whisper Bay boat ramp and Port of Airlie rock walls have had a good run of grunter, with some great size fish being caught by fishing fresh baits and prawns, with the odd mangrove jack being caught also. Anglers live baiting in these areas have also reported some massive queenfish hitting live baits. Barramundi have been showing up around the rock walls with a few reports of barramundi at the 1m mark being caught. Best way to target these fish is with a live bait but anglers have also been getting a few on hard and soft body lures, with the best reports coming from after dark. 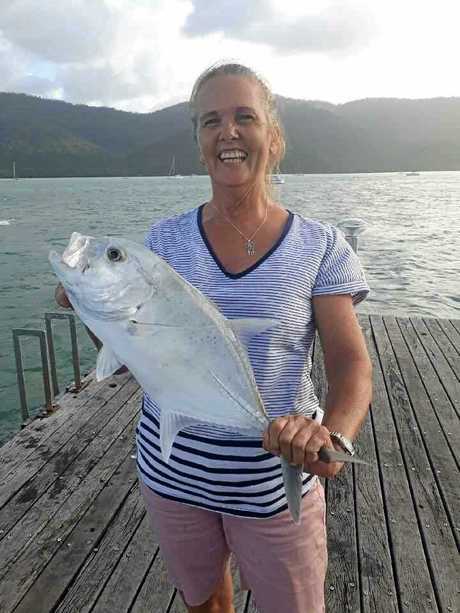 The Proserpine River has been fishing well even with the bigger tides, with good reports of big barramundi getting caught up at the Kelsey Creek breakthrough and around the mouth of the river. Mud crabs have also been in good number in the Proserpine River with reports from everyone I have spoken to catching a good feed of crabs. Thompsons River has been firing with crabs as well, with a few anglers reporting catching big numbers of crabs. They have also been catching fingermark bream and mangrove jack being caught on live baits and a few grunter being caught on mullet fillets. The mouths of the smaller coastal creeks have had some good amounts of flathead on the bite on the run-out tide.